I hadn't heard the phrase "settled science" until the Church Of Global Warming included it in their catechism. The Church Of Global Warming, like many sects before it, believes there is a calamity in our future unless we repent and give up our sinful and evil ways. Nothing new there. The list of doom sayers is long and discredited. In the modern era we have Malthus, the Club of Rome (whose data was shown to have been tampered with), Peak Oil (the world is awash in oil), and the most recent one, climate cooling, no -- climate warming, no -- climate change. The common theme in all these doom sayers is that they want us to repent and give up some of our sinful and evil ways. In short, they want to control our lives. A recent thread at The Motley Fool discussion boards shows how deeply the "settled science" meme has penetrated our culture. 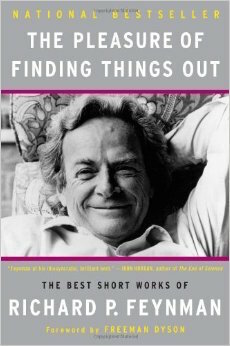 It is very close to the truth making it easy to believe but it creates a terribly dangerous mode of thinking that blocks our quest for "finding things out" as Richard Feynman put it. I bring up Feynman because I trust him much more than the scientists of the Church Of Global Warming. Feynman's position was that state of the art science was the best we had for the time being -- until something better shows up. Everything is up for questioning. This is the core corruption of "settled science," it stops questioning. It converts science into religion, into faith, into dogma. Quantum theory of gravity is not "settled science" but it is our current state of understanding until we figure out what "dark matter" and "dark energy" are. They just might throw Einstein for a loop. Maybe god does like playing with dice. Anyone who comes to me saying you have to believe because it's "settled science" is a quack at best. Copyright © Software Times, 2000 - 2015. All rights reserved. Last updated May 24, 2016.